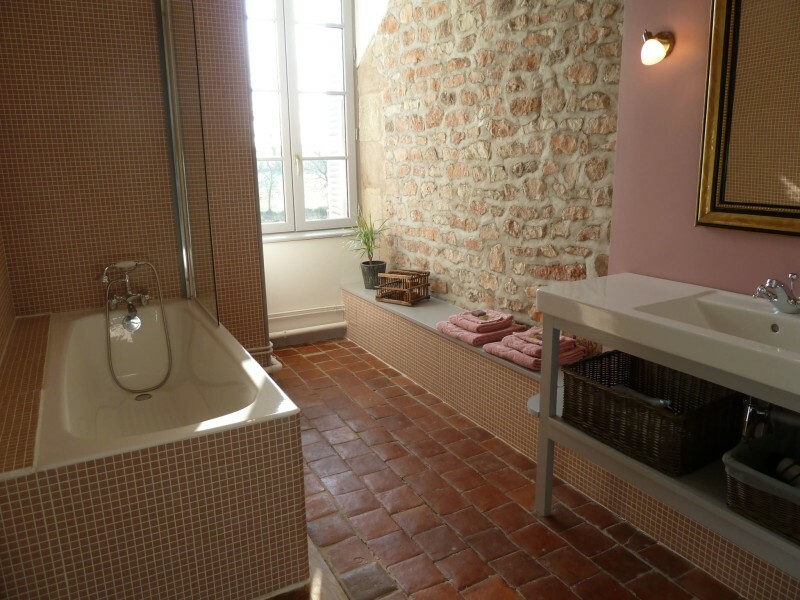 Upstairs room overlooking "le vieux domaine" historical monument and garden. BREAKFAST INCLUDED. Bed (160/200): 105 € Single bed (90/195): 20 € Bath and separate wc. toiletries, towels. Heat pump (heating / air conditioning) Additional requests for 1 extra bed child and cot (free / provided): can accommodate a family with 3 children. TV, table, chairs, small refrigerator and welcome tray.